View More In Indie & Lo-Fi. The Last Supper: Live at Hammerstein Ballroom captures Coheed and Cambria at full force, delivering a generous selection of fan favorites and jet-powered renditions of songs drawn from the group's highly-acclaimed albums, including definitive versions of the hit singles "Blood Red Summer," "A Favor House Atlantic," "The Suffering" and "Welcome Home." As an added bonus for Coheed and Cambria fans, this DVD includes the cutting edge music videos for "Welcome Home," "The Suffering," and "Ten Speed (Of God's Blood & Burial)." In addition to its riveting concert footage, The Last Supper: Live at Hammerstein Ballroom takes you behind the-scenes with Coheed and Cambria with exclusive band interviews, revelatory footage of the band prepping for the concert, fan's eye views, and more surprises. 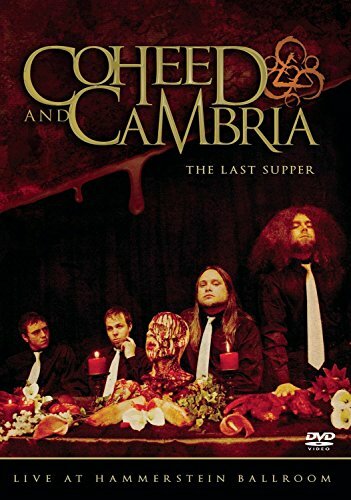 Whether you were shut-out, couldn't make it, or were there and want to relive an unforgettable musical experience, The Last Supper: Live at Hammerstein Ballroom is your DVD portal into the world of Coheed and Cambria.